Posted December 1st, 2015 by Mike Boyes & filed under Abnormal Psychology, Adult Development and Aging, Aging-Psychological Disorders, Clinical Neuropsychology, Neuroscience, Physical Changes In Aging, Psychophysical Disorders Health Psychology. Description: In relation to Alzheimer’s disease, the races on to properly understand not only the underlying causes of the disorder but also the order in which these causes unfold. 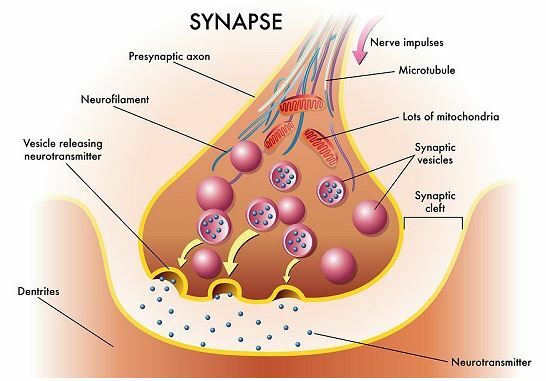 This article talks about recent research that seems to be located the point in the disease development process for the actual synapses in the neural system become engulfed by the disease. While we know a fair bit about the role played by substances like beta-amyloid’s in the development of Alzheimer’s disease. Researchers have been searching for related factors in the hope that they might provide insight into new approaches towards treatments that might slow the advancement of the disorder. In the study discussed in this article researchers seem to identified precisely when in the process of the unfolding of the disorder that the membranes responsible for maintaining the synaptic gap across which neural transmission from one cell to another occurs becomes engulfed by the disorder. It appears that this occurs relatively early in the onset of the disorder and may suggest another front in which researchers can look for ways to if not stop the disease, at least slow its onset. What are the researchers suggesting occurs in the early stages of the onset of Alzheimer’s disease in relation to neural synapses? What other factors are typically involved in the early and late stages of Alzheimer’s at the neuronal level? What does this new findings suggest in the way of potential treatment strategies related to the disorder of Alzheimer’s? Wood, J. (2015). Neuron Connections Destroyed Early in Alzheimer’s. Psych Central. Retrieved on December 1, 2015, from http://psychcentral.com/news/2015/11/28/connections-between-brain-cells-destroyed-early-in-alzheimers/95464.html.